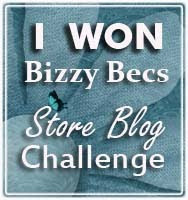 Bizzy Becs Store Blog: Brrrr its chilly today... But here is a bright spark! Brrrr its chilly today... But here is a bright spark! Today has been terribly cold here in Victoria.. I suspect perhaps snow somewhere! 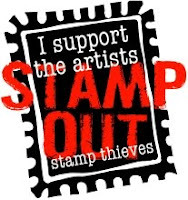 I have had a busy day and just realised its the 19th. Which is my extra card day for Bizzy Bec's store blog.. I know I've had my head else where - as we get organised for my first trip overseas to the USA in three weeks. 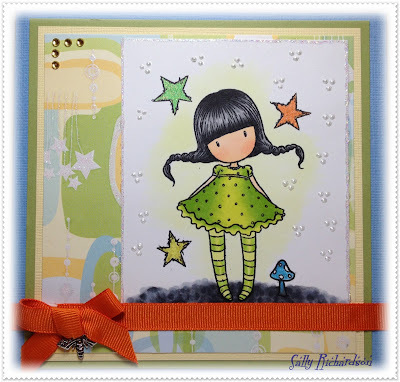 I've just had fun playing with this new Gorjuss stamp set called scribble and card kit #3.. I really love these colours together. and of course shes coulored in with copics. Well I hope you have a great day and even better weekend and don't forget to get your cards in for Bizzy Bec's tic-tac-toe challenge here.